NYE at Playhouse Hollywood New Year’s Eve party with five-hour premium open bar on Dec 31st 2018 (Monday) 9:00pm at Playhouse Nightclub. 6506 Hollywood Blvd, Los Angeles, CA 90028. Ring in 2019 with a whirlwind combination of high design, circus visuals, and great performances. Includes 5-hour Premium Open Bar • Live DJ Performance spinning open format • DJ-led Countdown to the New Year • Complimentary Midnight Champagne • Festive Party Favors. Includes all General Admission benefits -plus- Priority entry on the General Admission line. Includes General Admission entry starting at 12:30am • Premium open bar till 2:00am • Live DJ performance spinning open format • Late Admission ticket holders may incur a wait time as entry is subject to capacity limits. 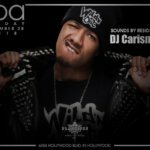 Incredible Bottle Service Packages and Group Rates – priced to sell FAST! Hollywood is a prime place to party on New Year’s Eve; and Playhouse is set to provide the best New Years nightlife that LA has to offer. Put on your dancing shoes; drink a few energy drinks, and head out to your next great New Year’s Eve night out in LA! From theater to warehouse to a boarded up and abandoned space – and now a luxury club with an enormous dance floor – Playhouse is an only-in-Hollywood redemption story. This exciting, high-rolling nightclub is located in the historic Fox Theater, steeped in both history and glitz: the perfect combination for Hollywood nightlife. Today, glowing red chandeliers, plush leather booths, go-go dancers, and an atmosphere of a trendy, electrified circus prevail along with pulsing music and 13,000 feet of dance space. This venue is a “first class” destination with costumed staff, as well as dancers and aerialist acts, and holds 750 guests. The sound system is first class too; a Funktion-One Sound System customized to the space. And, true to the venue’s theatrical history, there are programmable LED and LCD screens – as well as a CO2 effects system and confetti blasters. 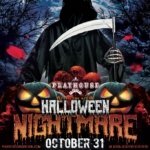 Playhouse Nightclub is renowned for hosting some of the most impressive holiday special events in Los Angeles. So who better to organize the perfect New Years Eve party? With the best DJs, biggest celeb hosted events, and undeniably spirited theatrical performances for a fully immersive experience; it’s safe to assume that your night will be in capable hands and, moreover, a great one! They don’t call it a PLAYHOUSE for no reason. NO plain color T-shirts, hats, baggy clothing, jerseys, shorts or athletic wear, or open back shoes. If you do not meet the dress code; then you might not be allowed into the venue. Please be aware we do not issue refunds for online tickets or any reasons. No exceptions. We are always available to help you. Plan your night out. Explain ticket options. Help with choosing the best party package. Answer all your questions. Just need someone to talk to? No problem. Contact us directly. Quick & Easy at 323.656.4600. Feel free to reach out to us at anytime with any questions or feedback you might have! We’re always happy to help and hear your thoughts. Let’s make this NYE your best ever! Includes all GA benefits. 6 VIP tickets. $1,000 beverage credit toward items on venue’s standard bottle menu. Includes all GA benefits. 6 VIP tickets. $1,500 beverage credit toward items on venue’s standard bottle menu. Includes all GA benefits. 10 VIP tickets. $2,000 beverage credit toward items on venue’s standard bottle menu. Includes all GA benefits. 8 VIP tickets. $2,000 beverage credit toward items on venue’s standard bottle menu. Includes all GA benefits. 12 VIP tickets. $2,500 beverage credit toward items on venue’s standard bottle menu. Includes all GA benefits. 12 VIP tickets. $3,000 beverage credit toward items on venue’s standard bottle menu. Mandatory 20% Administrative Fee is collected at event by venue; not included in table package price. Such Fee is a taxable charge and is retained by venue management to defray administrative costs. Additional gratuity is not required.